The shoes well, what can I say, they are so pretty and add a romantic feel to the look. 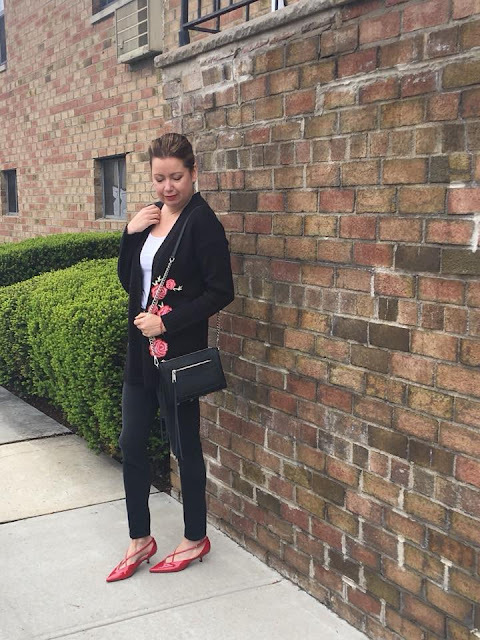 I added the floral bomber because it is still cold outside and this one specially has become my go to layering piece besides my trench. I was going for a romantic kind of style here. My husband and I were going out for date night, what better excuse to dress up right? I will get a lot of use of this dress, for the office I would add stockings and a blazer or even a sweater and of course wear heels. Once the weather gets warmer I will dress it up with a statement necklace or some other accessories. The quilted floral jacket here is cooool! Seriously! I'm glad I clicked on your comment on ATLANTIC-PACIFIC's blog and got led back here to yours. It's seriously full of GREAT info and juicy pics here! 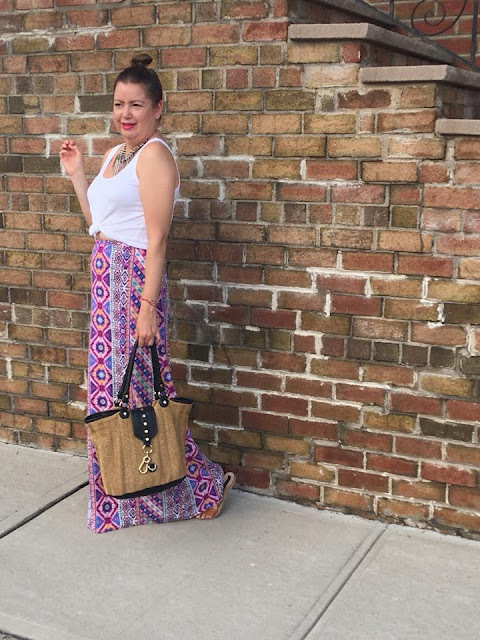 Just followed you on GFC and bloglovin', be sure to see more of you soon.Btw, you should check out my newest and possibly one of my best editorials/outfits featuring the Rag & Bone Deep V (no cleavage) sweater, Céline S/S14 runway fringe Aztec woven scarf (for Coachella? ), and Phillip Lim debatable sandle/loafer/slingbacks!!! Guaranteed to provoke on a very 'ART' level! http://www.the-provoker.com/2014/04/graphique.htmlSeriously! I'm glad I clicked on your comment on ATLANTIC-PACIFIC's blog and got led back here to yours. It's seriously full of GREAT info and juicy pics here! Just followed you on GFC and bloglovin', be sure to see more of you soon.Btw, you should check out my newest and possibly one of my best editorials/outfits featuring the Rag & Bone Deep V (no cleavage) sweater, Céline S/S14 runway fringe Aztec woven scarf (for Coachella? ), and Phillip Lim debatable sandle/loafer/slingbacks!!! Guaranteed to provoke on a very 'ART' level! I love those shoes! They are very nearly almost your sin color! I love your earrings and what a beautiful floral jacket!